During the hottest summer months, a well-tuned air conditioning unit can mean the difference between total comfort and being completely miserable in your own home. 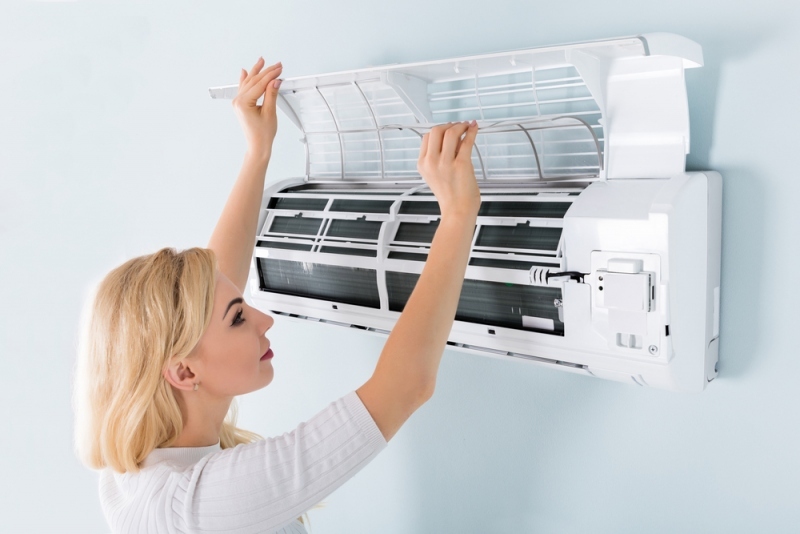 In addition to relying on the expertise of a professional technician, there are plenty of other steps you can take to get as many years as possible out of your air conditioner. Just as your car looks better when you clean it, your air conditioner operates better when you clean it. All leaves, dust, debris and dirt should be swept away from your exterior unit so that it can “breathe.” You can either clean your unit yourself or hire someone to take care of the job for you if you aren’t sure you’re being thorough enough. Your air conditioner is something you don’t want to skimp on when it comes to overall quality. If you’ll soon be in the market for a new unit, do yourself a favor and narrow down your options to those that have the best reputation. While these units will undoubtedly cost more, you’re sure to spend less in the long haul when it comes to repairs and upkeep. Opt for a unit with a higher SEER rating and such features as a two-stage compressor. No matter how hot it might get during the summer, try not to keep your unit running around the clock. For instance, if you aren’t going to be home, there’s no need of your unit being on. Invest in a programmable thermostat to maximize usage and keep your energy bills as low as possible. Once you’ve found the perfect high-quality unit, it’s vital you make sure it’s installed properly. A top-of-the-line unit won’t do you much good if poor installation cuts into its overall life expectancy and performance. Choose your installing contractor carefully for the best results and unit operation. Do yourself and your finances a favor and have your HVAC unit professionally serviced at least once a year. Even if everything seems to be operating just fine, you never know when you might have minor issues that can easily and quickly become major issues if left unattended. What’s more is regular maintenance can give you a heads up of those issues so you have time to financially prepare yourself for repairs before things get out of hand. It’s not just your unit you need to tend to in order to extend its overall life, you also have to make sure you keep up with areas connected to the unit. This means ensuring your property is properly insulated so air can’t escape or infiltrate your home, which often results in your unit working much harder than it has to. It’s also a good idea to make sure your ductwork doesn’t have leaks or any other type of damage that needs to be taken care of. Do your part in lengthening your HVAC’s life. A little effort most certainly goes a long way and can save you hundreds of dollars over the years.